Almost 20 percent of baby boomers do not have children and an even larger number, 27 percent according to the 2010 U.S. Census, age at home alone. Where can they find the social support systems they need? How should they prepare for the journey? What are their housing options? What are the risks associated with aging alone? The panel of Solo Aging experts will answer these questions, share what they have learned, tell their stories, and answer questions.This session is a panel discussion on solutions for Solo Aging - for individuals and society. The panel of experts will share their research findings as well as their own personal experiences, inventions, and unique perspectives for making the post-60 years fulfilling and meaningful for all, regardless of family connections. Sara Zeff Geber, PhD, President/Owner, LifeEncore: With baby boomers entering their 70s, the sheer number of Solo Agers will more than double. In her book, Roadmap for a Healthy, Happy Retirement Without Children, Dr. Sara Geber provides planning guidance to older adults living alone or who do not have children. In this session, Dr. Geber will discuss the results of her research on how Solo Agers can thrive in later years, including finding the best source of social support, evaluating where to live, and making smart choices about legal and financial preparation. 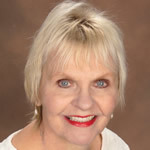 Carol Marak, BS, Aging Advocate, and Editor at Seniorcare.com: The Elder Orphan (EO) Facebook group, ~ 6500 strong, launched by Carol Marak in February 2016, provides a safe online place for individuals 55 and over living alone. The group promotes connection, sharing and support, allowing members to have conversations about growing old alone. They ask questions about their aging and health-related worries and receive feedback from other group members living with similar concerns and complications. Being a solo ager, Carol understands the dilemmas of living alone without children or spouse to rely on. Carol will describe and discuss what EO members say they want and need with regard to education, support, and guidance from community service organizations and healthcare providers. Maria Carney, M.D., Geriatric Research Scientist, Northwell Health: Low social support links to poor physical and psychological health and an increased risk of mortality for the elderly population. It is often challenging for clinicians and community service professionals to identify seniors who are struggling on their own to manage the complexities of their care. Dr. Carney has developed a patient assessment to help clinicians identify this cohort. She will share the assessment and discuss the support and services elder orphans require to live safely and independently in the community. Read about her research, Elder Orphan Hiding in Plain Sight. Wendi Burkhardt, BS, Founder and CEO, Silvernest LLP: Isolation can only be fully mitigated by having a community support system that is closely tied to housing. Wendi Burkhardt is the CEO and founder of Silvernest, a roommate matching service for baby boomers and empty nesters. Wendi will discuss the reasons she founded Silvernest and what her company is doing to bring Solo Agers together. F. Scott Moody, BSIE, xMBA, CEO, K4Connect: Discovered that individuals living with disabilities struggle to manage and juggle daily activities, health care, and medication plans, while still trying to stay socially connected. With the K4Connect product lines, he hopes to increase older adults' independence and quality of life at home, and enable them to stay active and connected through integrating technology and apps. Mr. Moody will discuss how technology can help mitigate the negative effects of isolation and loneliness so prevalent in Solo Agers. Ways to help clients avoid - isolation and loneliness as an older adult aging alone. A model for creating community teams to care for aging alone patients with medical, functional, social, and safety needs. A roadmap to enable vulnerable populations to link and access social services, adult protective services, and senior agencies. How the residential communities (retirement communities, assisted living, continuous care, skilled nursing) can create a nurturing and family-like environment for their Solo Ager residents. The types of local community-based services would support a person who lives alone in the suburbs. How clinicians can help patients who have no one to count on after a hospital visit or a medical test. Resources available for solo agers to receive help. Knowledge of community and privately held resources to help those aging alone to prevent and avoid hospital admissions.